First of all in the name of full disclosure I’m a thrawn Scotswummin who doesn’t venture south of Hadrian’s Wall very often. Our current political situation and a steady diet of British sci-fi and horror from a young age has me convinced me that England is a Very Strange Place. J.G. Ballard may as well have written the towns into existence and the countryside? Well yous have zombies in your tin mines and all manner of sinister goings on behind your hedgerows. I have a real fondness for the weird vision of England conjured by classic horror though and I was genuinely excited to get a new English folk horror to take a look at. 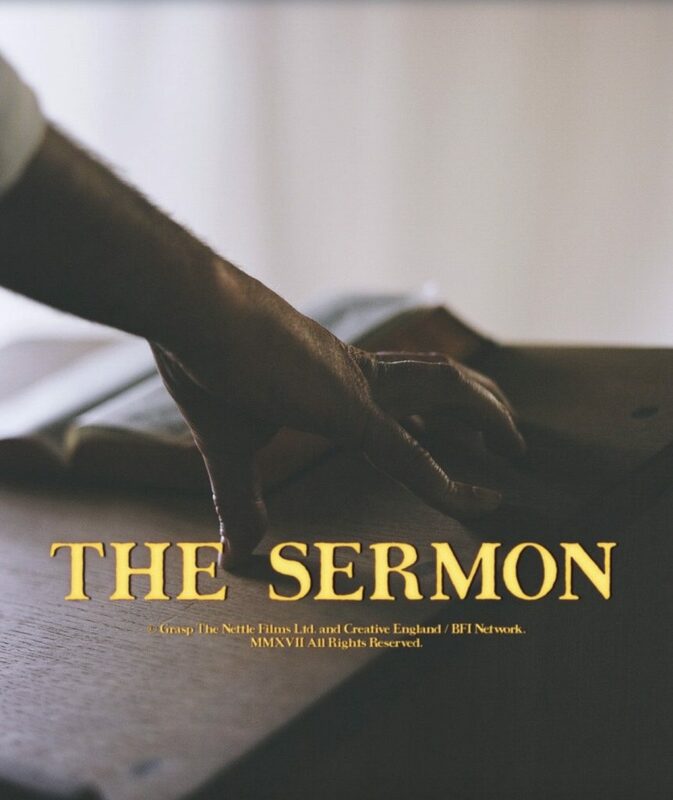 The Sermon is a short film set in a small religious community deep in the English countryside. The village patriarch described in the films logline as a powerful hate preacher prepares to deliver a sermon however his daughter Ella has a secret which could destroy them all – her love affair with a mysterious older woman. Her secret is uncovered by one of the preachers lackeys who desires Ella for himself and an inevitable chain of events featuring a baying mob, a forced betrayal and a final act of “desperate act of ecstatic violence’’ is set into motion.